November in the UK means that it is almost Christmas but before then it is Bonfire or Guy Fawkes Night! The November Treatbox couldn’t be more appropriate for this time of the year and I think it might be one of my favourite boxes ever! 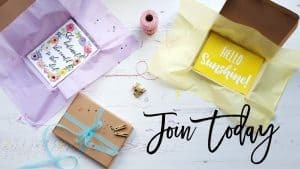 The November box contains eight items, four of which I love! The items range from prints to practical items and even some Bonfire Night sparklers. As always the box is so well presented and packaging – it would make an amazing gift this Christmas! 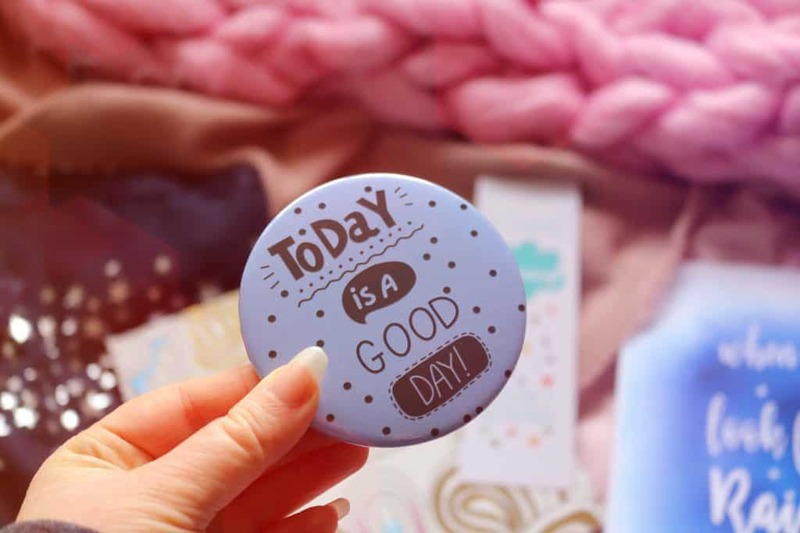 The first item is a cute polkadot compact mirror with the phrase ‘today is a good day’ printed on the front. The size is great, it’s thin so you could keep it in my handbag and I love the phrase on the front. It’s a nice phrase to see in the morning for a positive start to the day. I haven’t seen this Vaseline lip balm before so it might be new. 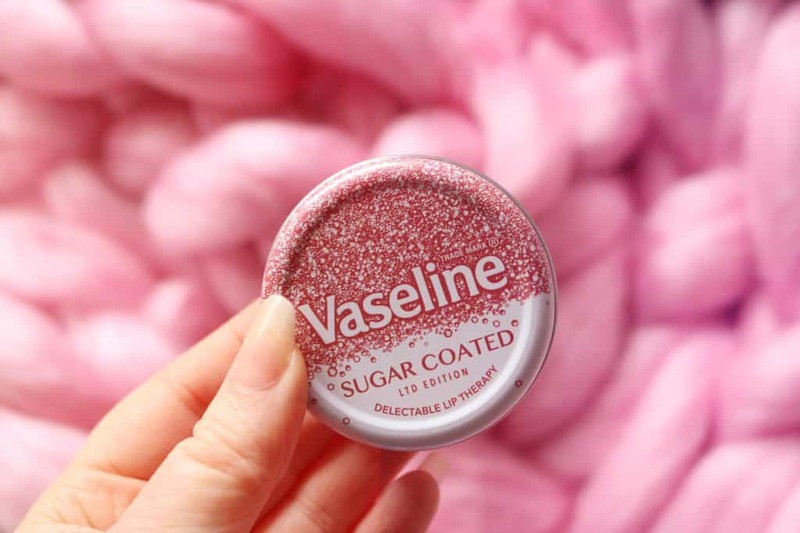 It’s a limited edition lip balm that smells so sweet and wonderful. 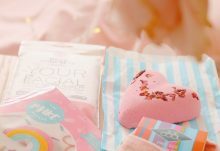 I also love the packaging and as with the previous item, it would be great to add to your handbag. The smell actually reminds me of sweets we used to have on Bonfire Night and New Year. Next up is an adult colouring book! I have the ‘art therapy’ version but you could have also received the ‘relax therapy’ version instead. I love the cover design, the gold foiling and the back has a piece of cardboard attached so you can take it on the go and use it whenever. 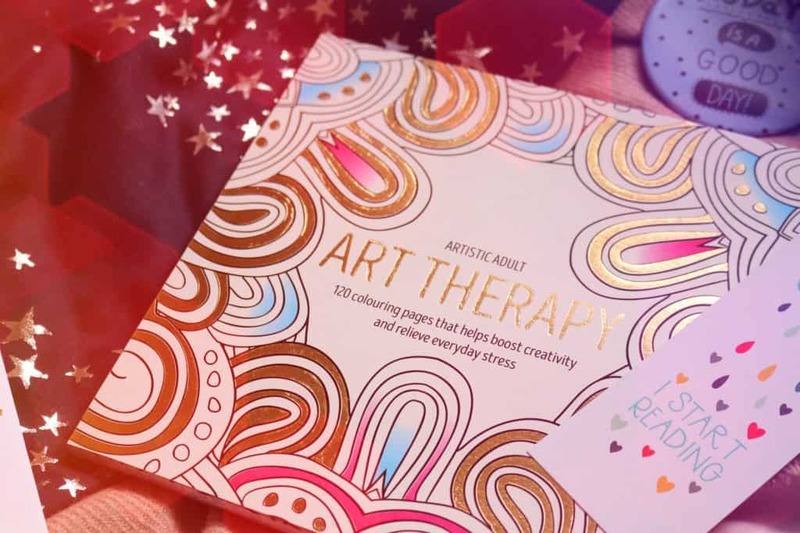 I’m not a massive fan of adult colouring books but I know a lot of people who’d love this! 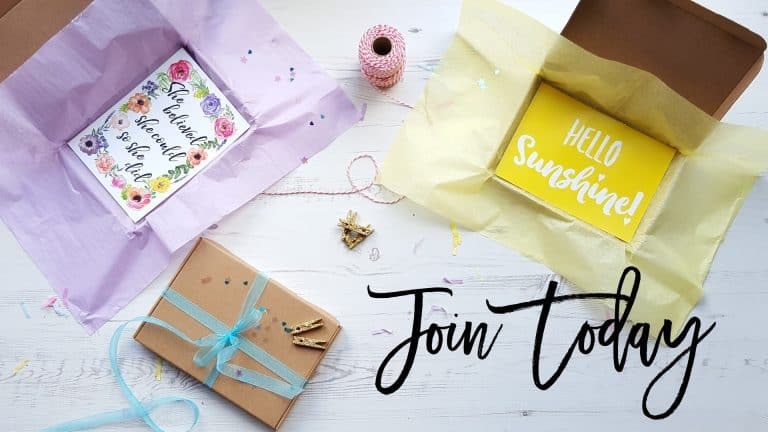 There are always prints included in each Treatbox and they are so beautifully designed and I think the design of this one might be my favourite so far – although I never know what to do with prints so I think I’d prefer a lifestyle item instead of more prints but that is just me. There’s also a second mini print within the November box which is equally cute and has the phrase ‘never stop looking up’ on it. 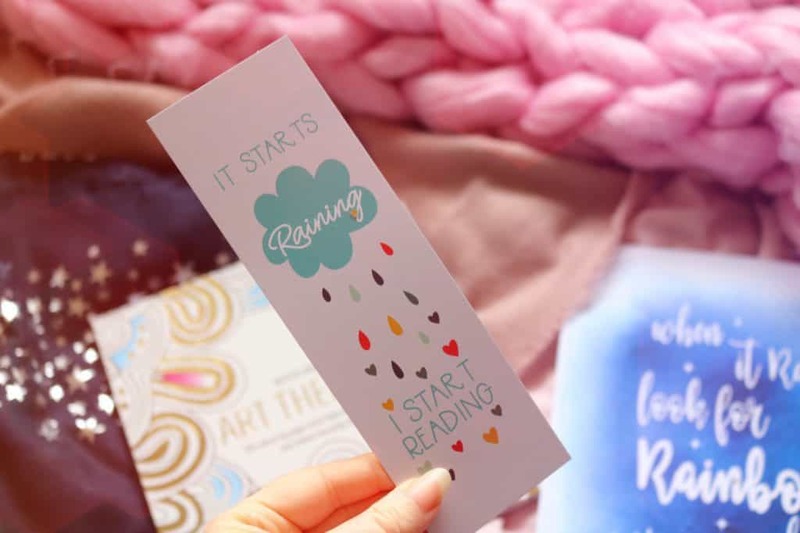 Lastly for the stationery and prints, there’s a bookmark within the November Treatbox which is great for me as I’m an avid reader. The penultimate item in the box is perfect and I know I will get so much use out of it, especially as today is Bonfire Night. 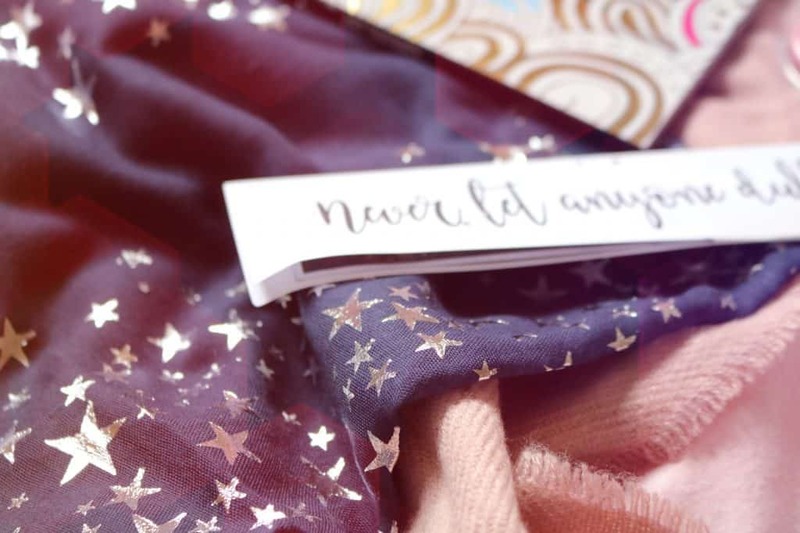 I love the navy blue material with the silver foil stars printed onto it. The martial is so soft and cosy and it is a perfect everyday scarf for this time of the year. The final item from the November Treatbox is my favourite from all of the boxes I’ve received over the past few months! Ever since I can remember, at New Year or Bonfire Night, I’ve had sparklers to wave around and this year I didn’t the any so the timing of this box is perfect! 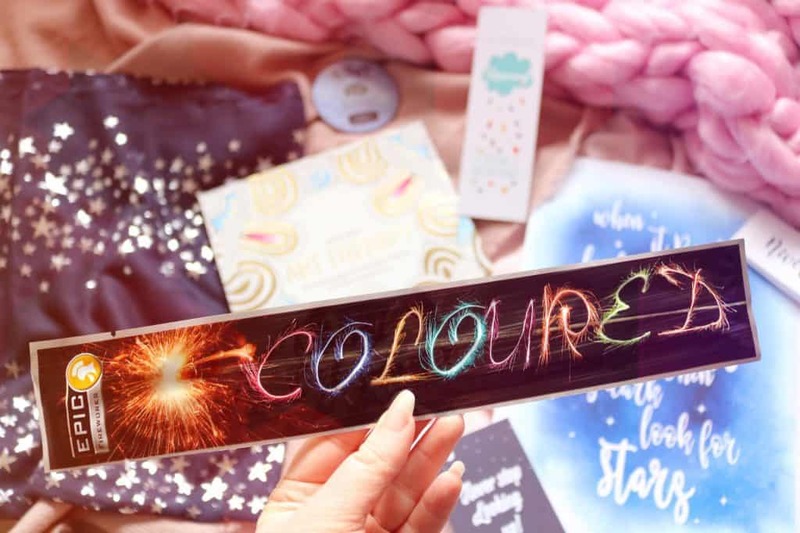 I’ve never used coloured sparklers before and to be honest, I didn’t know that they existed! The pack contains five sparklers so there are plenty to share or photograph. As today is Bonfire Night, I will be using these sparklers tonight so thank you Treatbox! Although always make sure that you are very careful with sparklers and fireworks. Happy Bonfire Night and stay safe! 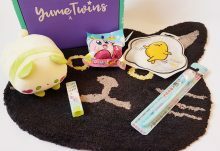 Overall, the majority of the items within the November box are some of my favourites that I've received from any subscription box. 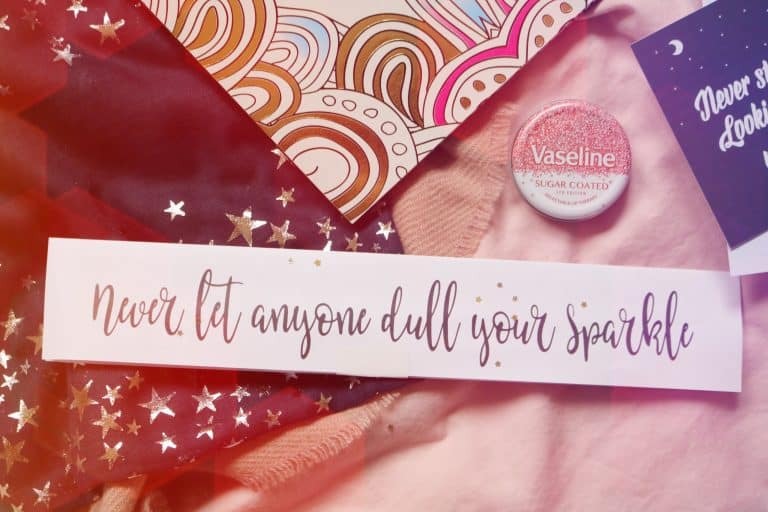 My favourite items have to include the star scarf, lip balm and the sparklers! I do wish there were less prints but that's just my personal option and I still think that the Treatbox boxes are some of the best out there!